Painting rocks and leaving them as a pleasant surprise for strangers to stumble upon is a trend that started in the USA. After seeing friend’s Facebook post about the craze Vicki, from Southend, decided to bring it over to this side of the pond. 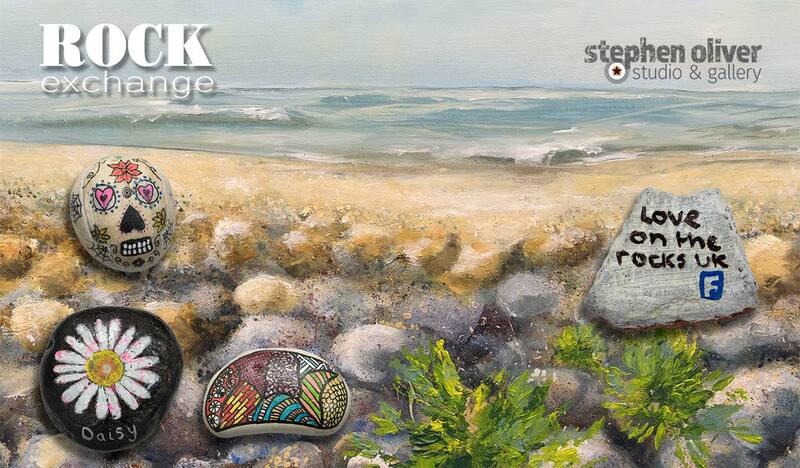 Love on the Rocks UK now has over 55,000 members from across the United Kingdom, all enthusiastic about finding painted rocks and/or creating smile-inducing designs of their own. The Facebook group encourages ‘Finders’, as they are known, to post photos of their finds to the group, as well as providing a space for other members to share creative tips and inspiration. I’ve now made a small table available at the Gallery for any fellow rock artists to leave or swap their own painted rocks.